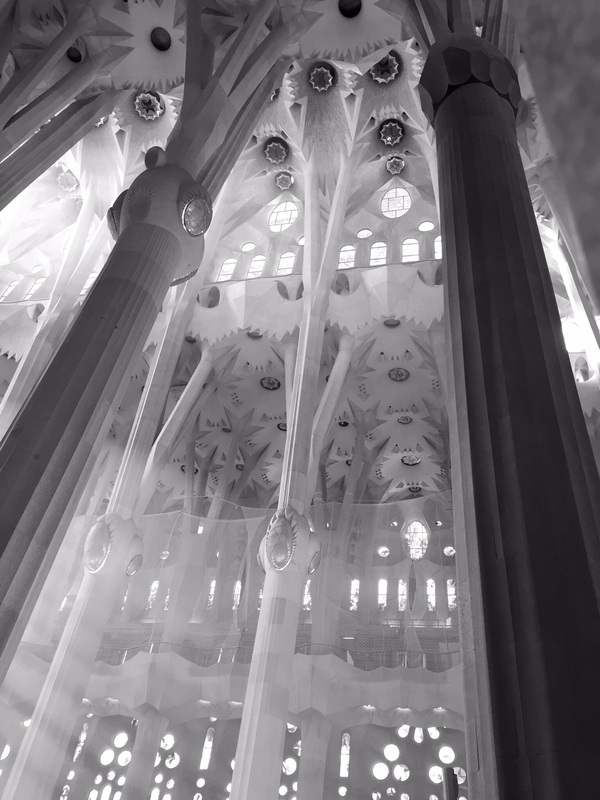 I was prepared to dislike Antoni Gaudí's famous church. The outside, ornate and disjointed feeling, doesn't look very inviting, just grandiose and weird. But this does nothing to prepare you for the interior. The visual and auditory sensation inside is I like any other cathedral I've ever entered. Gaudí designed Sagrada familia from nature, even making molds of the native grasses growing around the site for his towers. Inside he makes use of hyperbolic curves to reflect and distribute the sound, avoiding the echoey chillness found in an 'ordinary' cathedral. 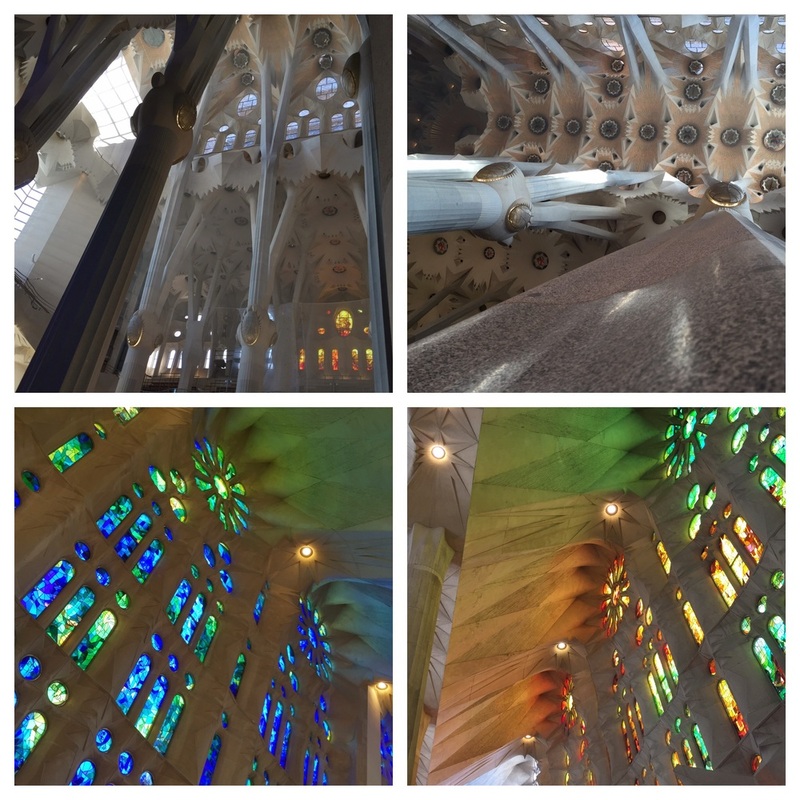 And inside he takes every opportunity to amaze the visitor with organic, swirling curves, dissolving into amazing mosaics of stained glass, and stem-like columns that draw the eye into a vaulted ceiling more complex than any late gothic masterpiece. The best of everything is in the views up. There is a full chapel under the nave, and outside the west portico a Gaudí-designed schoolhouse built to educate workers' children. It is such a playful structure, both inside and out, that I can't imagine not being eager to learn there! A trip up the tower via lift affords a closer view of the exterior shapes, and some dramatic views of Barcelona and the Mediterranean. The staircase itself going down is almost vine-like, sprung from nature.